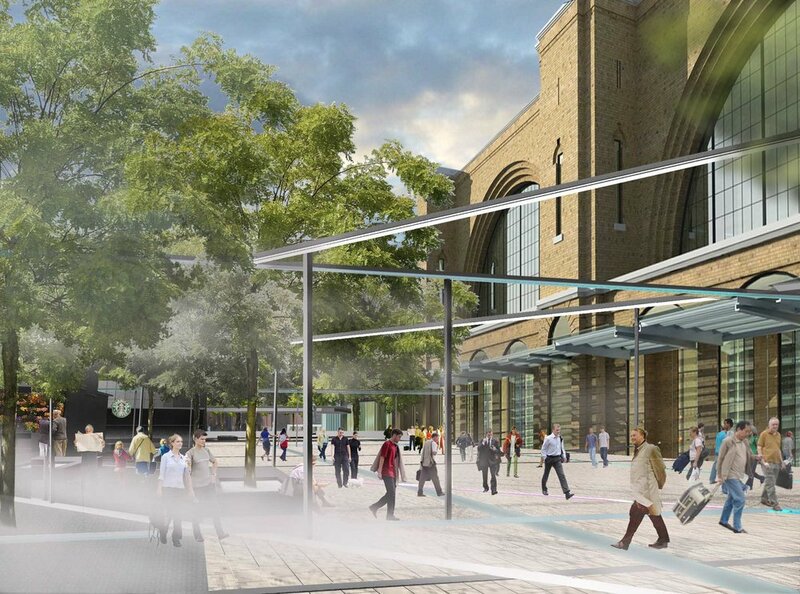 Our design for King’s Cross Square responds to a brief to accommodate the complex people movement and utilities infrastructure of the station, behind and below. By removing clutter and creating a simple, unifying paving surface, the design creates the illusion of calm in an otherwise frenetic environment. Lines of contrasting paving respond to the listed building façade, highlighting areas of interest. Trees have been carefully placed to avoid utilities and away from pedestrian desire lines. The design offers the public an intelligent and meaningful space that not only provides respite from movement and activity but allows for easy orientation for those in movement, ensuring that it is part of the connective tissue of the city. 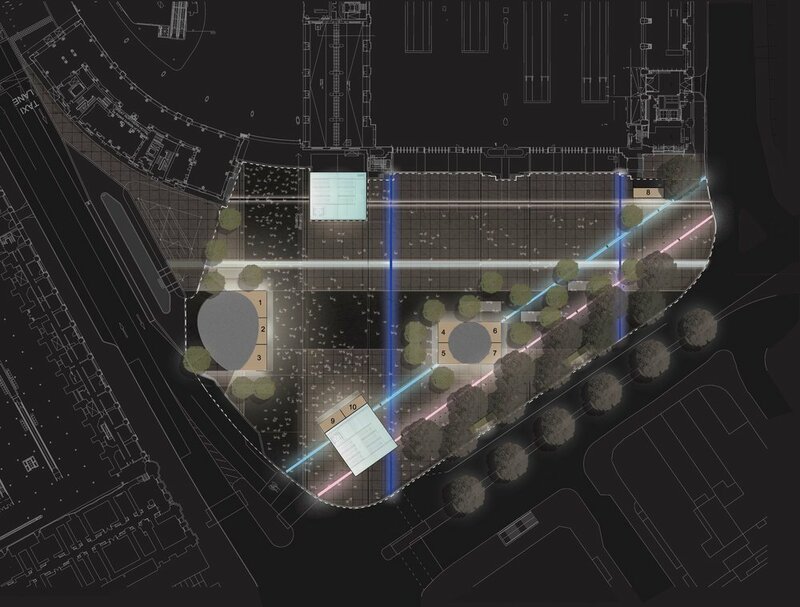 In the evening, drama is provided by the use of light which traces the course of the river Fleet and the London Underground lines below the forecourt. Light in blue, indigo, turquoise and purple marks the lines of movement and creates layered coloured screens which animate the square and increase the sense of energy as the public approach the station.